Showing recent results 946 - 960 of 961 products found. 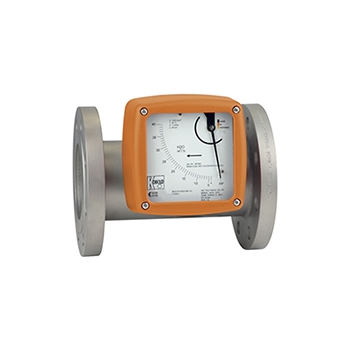 Flowmeter is ideal for difficult applications requiring high pressure, high temperature operation or low pressure loss. Its all-metal, armored design is available in stainless steel or PTFE-clad stainless steel. This flowmeter is unique in that its design employs a guided float and spring return mechanism that allows the BGF to be installed into both horizontal and vertical pipes. In standard configuration, the flowmeter is a purely mechanical meter suited for water and compressed gases in line sizes up to 3 inches. Electronic limit switches and/or an analog flow transmitter may be added if desired. Analog output is supplied standard with HART protocol. Profibus-PA and Foundation Fieldbus are also available as an option. Available switches and analog outputs include those that operate via intrinsically safe methods of protection and may be used in hazardous areas where intrinsically safe installations are permitted. Custom designs for high pressure operation, special fittings and special materials of construction are available upon request. Ultrafine particle (those less than 100nm, or 0.1µm in size) are produced through combustion activities and are persistent in all ambient air. Concentrations of these tiny particle can be very high near emissions sources (for example, near busy roads), and both acute and chronic exposure are believed to lead to health problems. 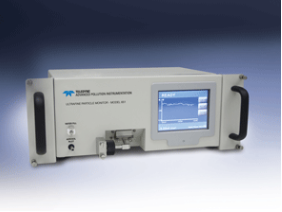 As part of the new US EPA near-road ambient monitoring network, ultrafine particles (UFPs) will be monitored to determine concentration levels and further study health effects related to exposure.The Model 651 Ultrafine Particle Monitor provides a simple and reliable solution for the real time monitoring of UFP concentrations in ambient air. The instrument uses a condensation particle counting technique, using water as the condensing fluid followed by laser detection. UFPs down to 7nm in size are detected, with time resolution down to 1-second. Sample collection, preparation, and analysis occur continuously, with a routine maintenance interval of 30 days. Equipment structure uses a stainless steel plate for hull painting, providing not only a good profile, but also fine corrosion resistance.Utilizes a closed-type compressor unit with a solid and durable structure that can greatly enhance the service property and life of the equipment. With an advanced energy-saving design, the unit can save electric power by 30% and water by 20%. In addition, it uses an HFC refrigerant that will not harm the human body or the natural environment, enabling operators to conduct tests in a safe way.Incorporates an advanced and innovative control theory that integrates the three control systems of PLC, HMI, and SOC to ensure 100% accuracy.Utilizes an ETAc820 colour touchscreen as TEMI operating interface, as well as the most powerful and reliable PLC and special modules in the industry, providing users with 50 programs and 2500 steps for setting/storage and operations.Utilizes a protection module that is able to withstand up to 500V to ensure safe voltage. 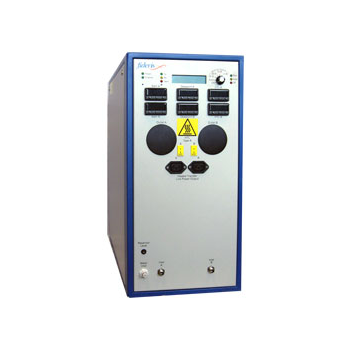 After the equipment is energized, this module provides it with 100% protection from burning. PL-960 - Fuji Tecom Inc.
Fuji PL-960 Pipe and Cable locator has been developed by use of the most reliable performance differential pick-up coil which has been fully testified by the facts experienced with Fuji PL-801 since 1980.The PL-960 offers a high power, high frequency locating. With 3 active frequencies, 27kHz, 83kHz, and 334kHz.Occasionally, high frequency jumps non-conductive insulators and gaskets. Pull up depth measurement increases the reliability of the depth measurement.The PL-960 is powerful and versatile. 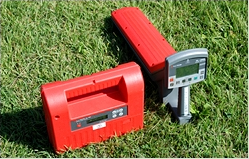 Can trace and locate any continuous metal such as iron, steel, and copper water lines, gas lines, tracer wire by plastic pipe, telephone/TV cables, copper and aluminum wire, conduit and power lines.Max depth 5m. Runs on 6D cell batteries-Transmitter and 6 AA batteries-Receiver. Comes with Padded Case Transmitter, Receiver, manual and Conductive Clips. 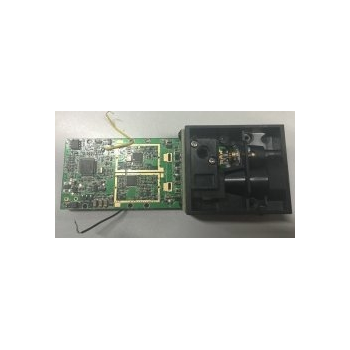 PL-2000 - Fuji Tecom Inc. The PL-2000 offers a new approach in high power, low frequency location. With 3 active frequencies, 0.5kHz, 8kHz, and 27kHz and 2 passive frequencies, 50/60Hz, as a Live Cable detection mode and both inductive and direct connection capabilities, the PL-2000 is powerful and versatile.Can trace and locate any continuous metal such as iron, steel, and copper water lines, gas lines, tracer wire by plastic pipe, telephone/TV cables, copper and aluminum wire, conduit and power lines.Max depth 5m. Runs on 6D cell batteries-Transmitter and 6 AA batteries-Receiver. 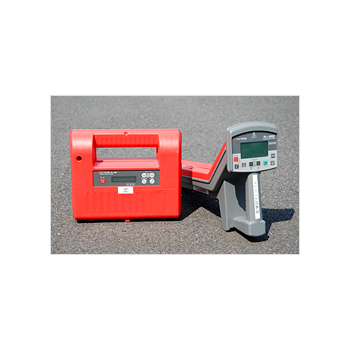 Comes with Padded Case Transmitter, Receiver, manual and Conductive Clips.PL-2000 can also locate a power live cable without the transmitter using Passive 50/60 mode. Push button depth measurement. 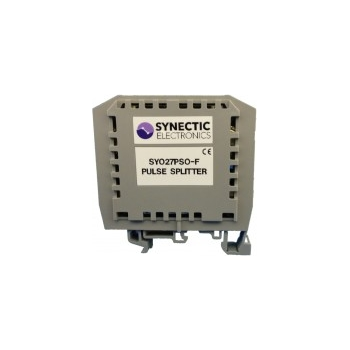 The SY027 is designed to convert pulses from meters or other turbine devices and transmit the same pulse via two relay outputs to enable two separate instruments to measure the rate simultaneously. It can be used with electricity, gas, or water meters. The SY027 PSO has been designed for applications where a pulse is required to be isolated, re-powered and repeated on two separate outputs. 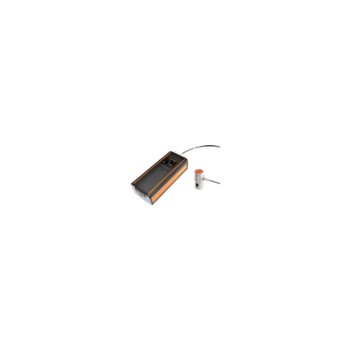 It works with inputs from reed switch signals,Opto coupler, open collector, NAMUR or TTL pulse (up to 25V) with automatic debounce, as well as with high frequency pulses . The speed of pulses can be accommodated from very slow to super-fast.The standard frequency range is up to 1 kHz and a maximum switching voltage of 280V, we also have an extra fast version for a small extra charge we can reproduce pulses up to 5 kHz with a maximum switching voltage of 60V. The patented Nanomotor® is a piezo driven linear motor. It is a multifunctional basic part for many positioning and manipulation devices. It has a positioning stroke of up to more than a centimeter while operating with atomic resolution. The Nanomotor thus bridges eight orders of magnitude. The Nanomotor consists of a cylindrical housing and a slider with a free axial hole inside. It combines high resolution in the sub-nanometer range with a large positioning stroke. The Nanomotor utilizes a piezo tube for fine positioning and a shock wave produced by the same piezo tube for coarse movements. The small Nanomotor is half the size of a match stick. It can lift six times its own mass. Every point of its stroke can be reached with a speed of up to 1 mm/s. The Nanomotor also works in ultrahigh vacuum or even under water. It is driven by a PC card at a supply voltage of only ±15 volts. T3110 - COMET SYSTEM, s.r.o. 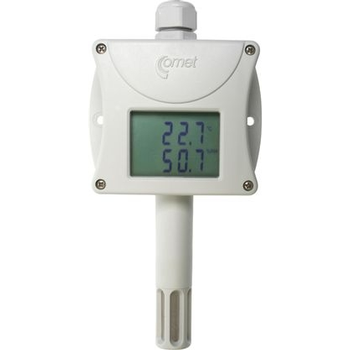 Programmable temperature and humidity transmitter is equipped with temperature and relative humidity sensors. Measured values are also converted to other humidity interpretation - dew point temperature, absolute humidity, specific humidity, mixing ratio or specific enthalpy. Degrees Celsius and Fahrenheit are user selectable. 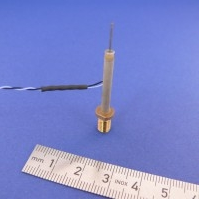 Transmitter contains a microprocessor based control circuitry in a durable plastic case with connection terminals and sensors in a filter with stainless steel mesh. Humidity transmitters is equipped with two galvanic isolated 4-20mA outputs. Configuration of outputs and output range are user adjustable. Large dual line LCD for simultaneous display of T+RH or other humidity interpretation is an advantage. Display is possible to switch off. Computerized design ensures temperature compensation of the humidity sensor and fail indication. State-of-the-art capacitive polymer sensor ensures excellent calibration long term stability, inertia against water and condensation. Transmitters are designed for use in non-aggressive environment. Wewon Environmental Chambers Co, Ltd. 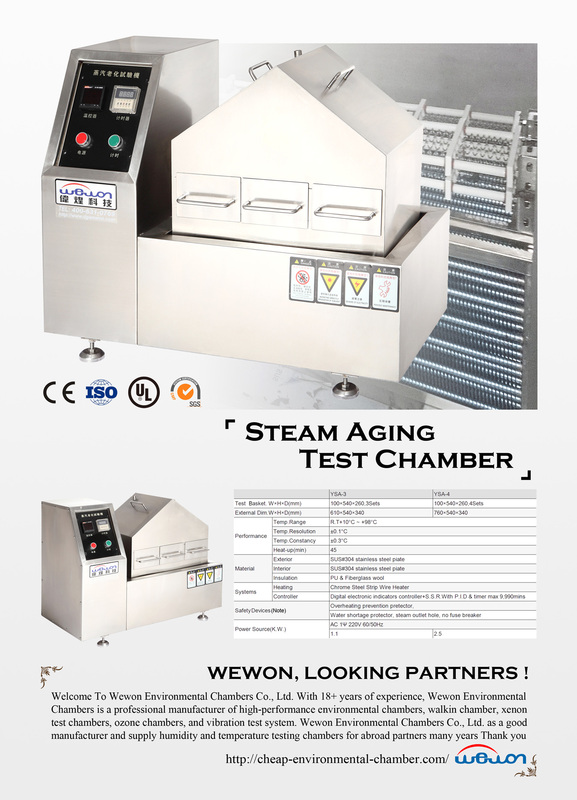 These steam aging chamber applied for the testing of sealing property for multi-layer circuit board, IC sealing package, LCD screen, LED, semi-conductor, magnetic materials, NdFeB, rare earths and magnet iron, in which the resistance to pressure and air tightness for above mentioned products can be tested out. 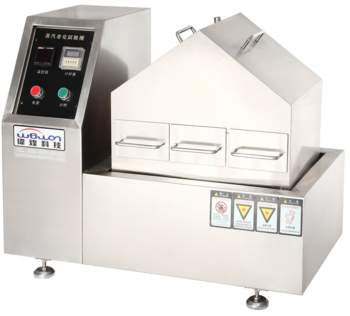 ● Overall of the steam aging tester made ​​of stainless steel SUS # 304HL, simple operation settings. Microcomputer digital LED control with time planning function , the maximum set 9,990 Mins. 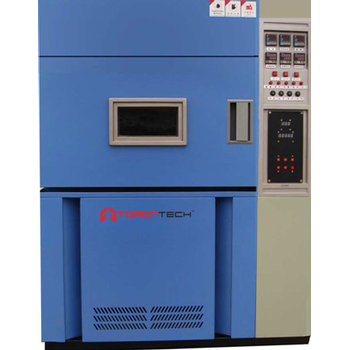 ● Parts, connectors, passive components , semiconductors oxidation test pin high temperature and humidity. ● Metal pin soldering test accelerated aging test. Multiple overtemperature protection / water cut heating and other safety devices. ● The touch- PID + SSR temperature controller, timer function while a time , set the 9990 maximum fractional unlimited. The key to the operation of Alpha Moisture Systems' Portable Analysers is the unique Desiccant Dry-Down Chamber. By keeping the sensor dry between tests, the special assembly of the head ensures that the instrument is always ready for immediate use. The head assembly consists of two chambers which have a telescopic action. When the head assembly is in the 'closed' or 'Dry-Down' position, the sensor is completely surrounded by desiccant, which absorbs the remaining water moisture from the sensor and hence it is dry and ready for use. The small space at the bottom of the test chamber enables the sample pipe to be purged before the test commences without wetting the sensor. 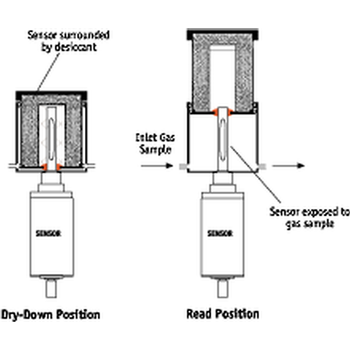 By placing a finger over the outlet of the head, the sample pressure is able to open the test chamber automatically, exposing the sensor to the gas being tested and enabling accurate reading of moisture content in the sample gas. After each test the head assembly is closed by depressing the inner section so that the sensor will again be dried by the desiccant, leaving the sensor ready for use time and time again. The desiccant is kept in the inner chamber and is not exposed to ambient room air or the sample gas, therefore there is no need for frequent regeneration or replacement of the desiccant. The GigE uEye FA industrial camera with Gigabit Ethernet interface is our power pack and all-round talent. The camera housing, lens barrels and connectors fulfill the prerequisites for protection code IP65/67 and protect your industrial camera from dirt, dust, water splashes or cleaning agents as well as accidental shifting of the optics. The screw-on connectors also meet the most demanding industry requirements – an 8-pin M12 connection with X coding for data transmission and Power-over-Ethernet (PoE) and an 8-pin Binder connector for GPIO, trigger and flash are available. An extensive range of accessories, including cables suitable for use as drag chains, and various screw-on options enhance versatility and facilitate integration. Ideal for multi-camera operation: An integrated image memory decouples image acquisition from image transfer. Internal camera functions such as pixel preprocessing, LUT or gamma minimize the processing power required. Only with IDS: if you opt for cameras of the new GigE uEye FA series, you have the freedom to choose between the proven IDS Software Suite or support of the GigE Vision standard. 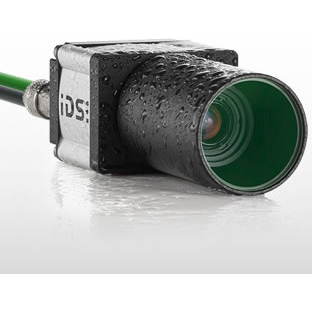 Thanks to the unique IDS software, you also experience real USB plug & play, even for GigE cameras: The cameras are automatically detected in the system and are ready for use immediately. 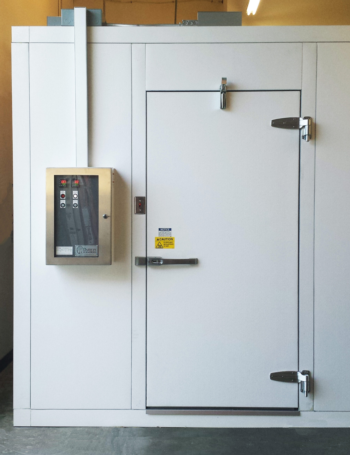 Darwin Chambers Company’s NFPA, GSA, and NARA Directive 1571-compliant Archival Storage Chambers are engineered to provide maximum value, efficiency and conformance with all applicable standards and codes. Archival chambers provide environmental controls for storing records and materials (including paper documents and items with high fibrous content, various films, microfiche, and photographic materials) that require permanent protection for storage and preservation. Our high-performance systems are offered with nearly unlimited operational fail safes, includ- ing full system and control redundancy. In addition to keyed entry, numerous security options are also available, due to the often irreplaceable nature of the materials to be stored and preserved in this type of chamber. Our chambers are engineered to accommodate the loads and unique requirements of the specific materials to be stored, with industry-leading control and uniformity of both temperature and humidity variables. Design considerations include both functional and operational efficiencies and reliability, the safety and comfort of operating personnel, and the ongoing protection of the archived materials from fire, water, light degradation, pests, mold and natural contaminants, pollutants and other man- made threats.